Producing much of the nation's silver, Trail is also home to the world's largest zinc and lead smelting complex. This riverside mining town is located in the south of Kootenay Country. Tours lead by retired employees of this smelting complex show visitors where ores are separated and a glimpse at the 480,000 horsepower hydroelectric plant at Waneta. Situated inside a now extinct volcanic crater, Rossland is well known for its excellent skiing opportunities. Its unique terrain has also made it the "Mountain Bike Capital of Canada". Rossland is located on Highway 3B west of Trail. The museum displays artifacts of the gold rush, the Salish Indians, mining history and the areas famous skiers. 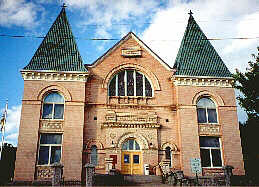 There are over 30 buildings in Rossland with heritage status.